No single material should ever be relied upon to effectively waterproof a building or protect it from ground contamination. This is because a single material only provides a single line of defense. And should this material be compromised - a minor flaw in fabrication, a misstep in installation, or through nature’s wild unpredictability - your structure will suffer the consequences. 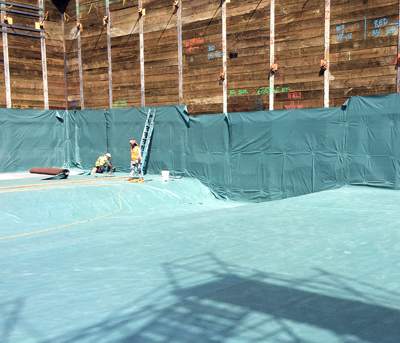 This is why all EPRO waterproofing and contaminant barrier systems are engineered with redundant layers of protection, ensuring that your building remains dry and safe even if one layer should become compromised along the way. EPRO’s proven methodology, pioneered 25 years ago, is called Redundant Field-Installed Composite Design. Today, EPRO systems protect thousands of buildings of every size and type across North America and abroad. 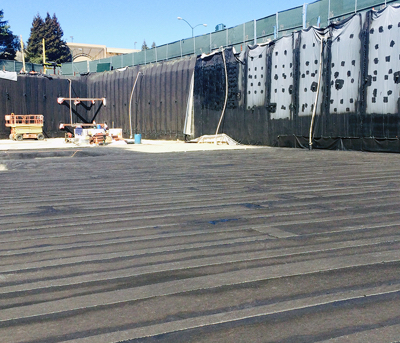 With warranted waterproofing and contaminant barrier systems for below grade applications, including underslab, shoring walls, walls, and above grade deck applications, EPRO is your single-source provider for your entire building. Also, EPRO offers a “good”, “better”, and “best” system for each application, allowing you to perfectly match an EPRO system to your project based upon site conditions, construction materials and methodologies being employed, and level of protection a building owner desires. Group 4 Created with Sketch. START HERE Not sure which system is right for your project? No single material should ever be relied upon to effectively waterproof a building or protect it from ground contamination. 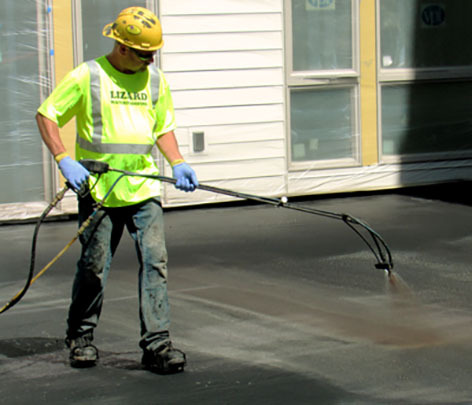 Rely on EPRO to ensure that your building remains dry and safe. Submit your site conditions today and simplify the process with a no obligation assessment and recommendation from EPRO or Find a Local Rep in your area. EPRO’s deep commitment to providing our customers with world-class service means being available and responsive to our customer’s needs, listening carefully, working diligently to help solve challenges faced in the field, and constantly innovating new products to meet the evolving demands of modern construction. Our promise is to always provide our customers with the best possible solution based on unique project requirements and to offer support from project start to completion. We support our products with the best warranties in the industry, and use our nearly 25 years of experience to ensure that every project is a success. Find a local representative in your area or contact EPRO to discuss your next project.